If you’re looking for fun, family-friendly things to do in Cape Town, then look no further. Cape Town is quite literally a playground of activities, places to see and things to do, which is why we’ve put this list together. From tobogganing to zip lining - Cape Town has got it all. This is your chance to bring the all time favourite film, Cool Runnings, to life! Home to South Africa’s first tobogganing track, Cool Runnings gives you and your children the chance to test your speed and agility down a single track. Children under the age of 8 must ride with an adult. Once the sled is released and you’ll go flying down the track with 17 corners, S-bends and a tunnel. You can control your own speed with a easy-to-use break, but you can easily reach up to 40km an hour. It is closed on Mondays, except during school holidays. The track closed on Mondays, except during school holidays. Rush Indoor Trampoline park offers a day of adventure for parents and kids. With over 1700 square meters of wall-to-wall trampoline fun, this place will get you jumping with joy and adrenaline. Rush is also home to the largest foam pit in the world which is edged by three trampoline lanes that allow for jumpers to release their inner daredevils in a padded environment. The facility boasts two dodge ball courts, three basketball slam-dunk lanes, two long trampoline lanes, a battle beam and so much more. For those who’d prefer to take it easy, there is also free Wi-fi and a coffee and cake bar to keep you entertained and sustained. The aim of the park is to educate guests and they often do smaller school groups. They host a Mini Mo Show where you can touch and interact with the animals with professionals assisting you. Visit the Higgeldy Piggeldy Animal Farm while you’re there and make a day of it. A visit to the Two Oceans Aquarium offers you the chance to discover the diverse marine life found off the coast of southern Africa. Get up close to the animals that call the surrounding oceans their home. You can even experience the touch pool and come face to face with the Aquarium’s new large-scale exhibit. The Scratch patch offers one of the most popular and convenient places to buy and scratch for beautiful gemstones in South Africa. Home to piles of shimmery, shiny gemstones, kids can sit amongst the tiger’s eyes, amethysts, agates and the crystals while choosing some favourites to take home. If you’re lucky, you might find some real gems, including Lapis Lazuli, Blue Lace Agate and some other really exotic stones. It’s an inexpensive visit and popular for all ages. Over 3 000 birds of 400 different species are uniquely presented in more than 100 spacious landscaped walk-through aviaries, allowing you the most intimate closeness with nature. The aviaries are situated in a tropical garden setting in the Hout Bay Valley and is framed by the back of Table Mountain, the Twelve Apostles, Constantiaberg, Chapman’s Peak and Little Lion’s Head. It provides a paradise for nature lovers and photographers and is one of the most loved tourist attractions Cape Town has to offer. The pinelands-based Play Shed is a one-stop for parents keen to give their kids some quality playing time. The area boasts also various means of activities which allow parents to easily entertain their children in an uplifting, safe, educational, healthy and sociable way while having fun at the same time. Join the exhilarating fun of South Africa’s first 3D glow-in-the-dark 18-hole mini-golf course! Situated at The Gallery in Milnerton, this themed mini-golf course provides an awesome adventure for both you and your kids. Unlike the traditional 3D process that requires 2 images, Glowing Rooms uses imported 3D glasses that create striking 3D images from normal 2D images by pulling forward the colour red to the foreground and sorting the remaining colours according to their position in the rainbow. This process creates beautiful 3D illusions without compromising on quality. The venue also offers an event room for privacy private functions fit with UV lights, 3D murals, disco lights and an epic sound system. Jam packed with activities, Bugz Playpark encourages the development of kids physically, emotionally and socially. The park has something for everyone, from an animal farm to a train ride, peddle carts, sand pits, horse rides and so much more. Everything they’ve built has a purpose – to help kids grow through play. Their massive outdoor playground will challenge little minds, work little muscles and burn off some of that endless energy the right way. The magnificent indoor area is for kids aged 2-10 and filled with obstacles, challenges and imagination-expanding fun! Have you ever wanted to explore the Mother City a little differently? Well, here’s your chance! The non-motorised scooters are eco-friendly and provide an adventurous day out for the whole family. The scooters are the first of their kind in South Africa and are perfect for a casual ride through the city. This 5 km track will take you on an adventurous off road track down the side of Signal Hill into Bo Kaap. The thrill continues as you are driven to Table Mountain for your final ride down the single track off the mountain! Each tour is lead by a professional guide and the tours last for roughly 1.5 hours. The charming Imhoff Farm invites the whole family to break away from the city life to embrace the world of wildlife conservation. The double-story milkwood maze, built by former game ranger, Ian Pletzer, features riddles that participants need to solve in order to complete the maze. You’ll also be invited to learn about the conservation efforts in Southern African countries like Namibia, Zambia, Zimbabwe and Mozambique. The maze is situated at Imhoff farm which also boasts an extensive list of exciting things to do for the entire family, including camel rides, horse riding, laser tag petting zoo, reptile shed and so much more. Make your way along the winding roads of the Constantia winelands and on to the Constantia Nek forest for a taste of adventure. Located beneath the majestic Cape mountains, this action packed aerial activity will have visitors of all ages revelling in the exhilarating tree-top adventures. 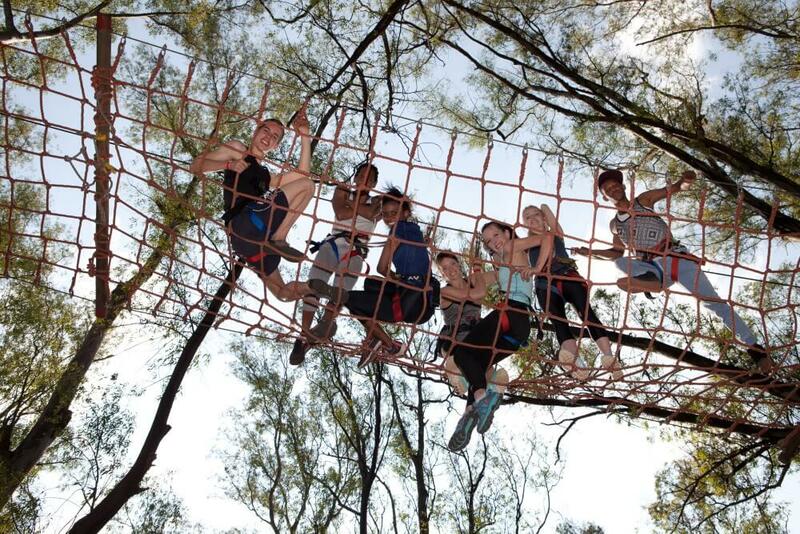 From adventure course for kids to the Swinging Tarzan, the Acrobranch experience will have you climbing through cargo nets, zip lines, barrels and so much more. Cape Town is in no shortage of fun, family-friendly things to do. Whether you feel like treating your kids to a day of adventure or you simply want to keep them entertained during the school holidays, Cape Town has plenty to offer.